There are no comments for Time And Money. Click here to post the first comment. 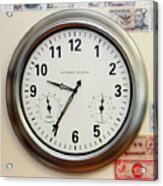 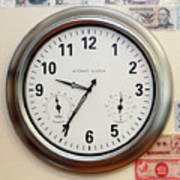 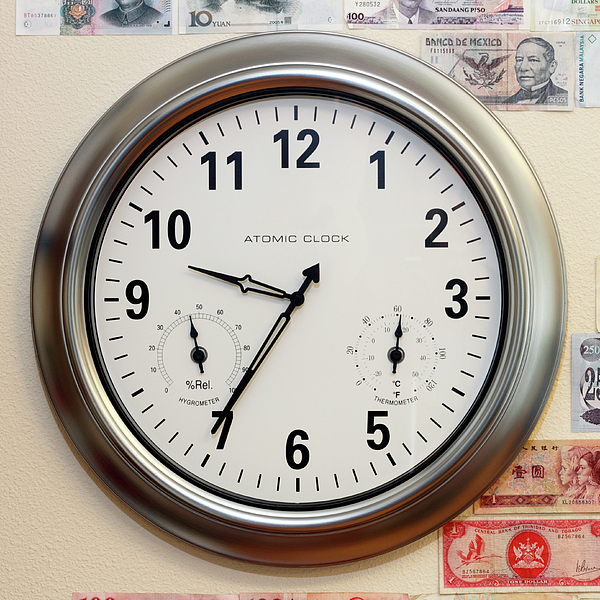 A large round atomic clock with hygrometer and thermometer on a wall with parts of a variety of money.